Unfortunately for the Yellowtards, the same old Martial Law Crybabyism they continue to use as a cornerstone of their "opposition" no longer works. Worse, they also latch on to highfalutin liberalist doctrines like feminism and "human rights", among other "isms", all of which merely fly above the heads of most ordinary Filipinos. 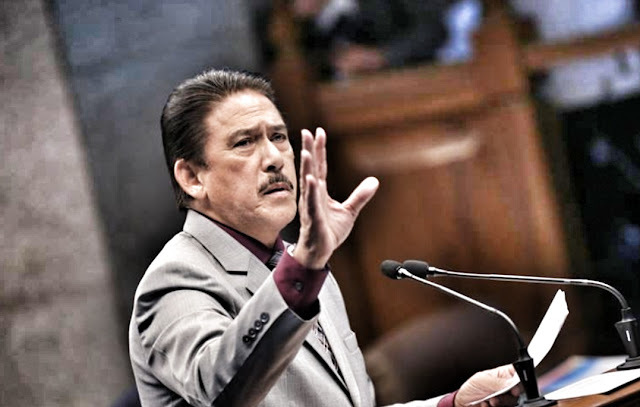 We can see the elitist snobbery that the Yellowtards apply to their cause in the derisive way they regard the new Senate President Tito Sotto. Yet Sotto's rise to the Senate presidency is an outcome of a legitimate democratic process. Nonetheless, the Yellowtards will have nothing of it. What they fail to realise is that Sotto is, in fact, a politician who deeply understands the pulse of the masses thanks to the decades he spent hosting popular noontime variety show Eat Bulaga. In that alone, no one beats Sotto when it comes to understanding what makes Filipinos tick and what moves them to vote for who or what. Herein lies the problem with the Opposition and the Yellowtards who lead them. They have their heads too far up their asses to do a good job of serving as a competent counterweight to the incumbent administration. Contrary to what the Yellowtards assert, it is not Duterte who has failed the Filipino people. The Yellowtards' incompetent leadership of the Opposition is what has failed Filipinos.